If you are done with your old ways of polluting and wasting and are resolved to lead a more eco-friendly lifestyle from now on, you might feel overwhelmed with the scope of changes you will need to introduce. However, you have already made the most difficult step – a decision to change. Now your job is to focus on the smaller steps, and the big ones will eventually become much easier. A huge trend among the environmentally conscious people across the world, compost bins reduce waste by letting you re-use organic leftovers that you would normally leave to the garbage men. Above all that, you can save money and help your plants grow stronger. Moreover, ready-made compost is expensive, and unnecessary when you can create your own blend in the backyard. If you already have a garden, a compost bin is the next logical step. Refillable containers are one way of not wasting containers; buy large or concentrated containers and refill. Also, cleaning products labelled ‘ultra’ clean just as good as the regular ones and use 50 to 60 percent less packaging. Therefore, follow the instructions on the label and don’t use more than needed; your laundry won’t get cleaner and softer if you use more product. Next, instead of packing your lunch into brown bags, use food-tested L. L. Bean Flip-Top Lunch Boxes. And a single microfiber cloth can do the work of up to 60 rolls of paper towels before it needs replacing. Most stores offer canvas bags as an alternative to disposable plastic and paper bags. Although they cost a bit more, they can be used many times and aside from shopping, they have many other uses. For example, they are great for moving a lot of books when, let’s say, your kid is about to head off to college. Furthermore, even plastic bags can be reused by placing them into smaller wastebaskets throughout your home. You don’t have to replace all the bulbs at once. However, the next time one of them burns out, replace it with a more eco-friendly option. Compact fluorescent light bulbs can last more than five times longer and use much less electricity than regular hot coil bulbs. Aside from that, they provide much more light, so your home will instantly become brighter. LED bulbs are even more energy-lifespan-effective, and by shifting to those, you can make savings on their lifespan alone. Until the whole hybrid/electric/hydrogen-powered car story catches momentum, there are things you can do to make your car more economical. Driving 10 mph above 60 is likely to add almost 50 cents to the price of a gallon, so slow down and enjoy the scenery. Also, make sure to check the pressure of each tyre once a month because soft tyres may lead to a less efficient ride. Additionally, a new oxygen sensor can improve the mileage up to 15 percent, so replace your air filters regularly. Doing this not only reduces your home’s environmental footprint but lets you walk out with more cash in your pocket. This is a win-win situation for both you and our planet. Unplug the appliances when they aren’t being used and use a drying rack or a clothesline instead of a dryer whenever possible. 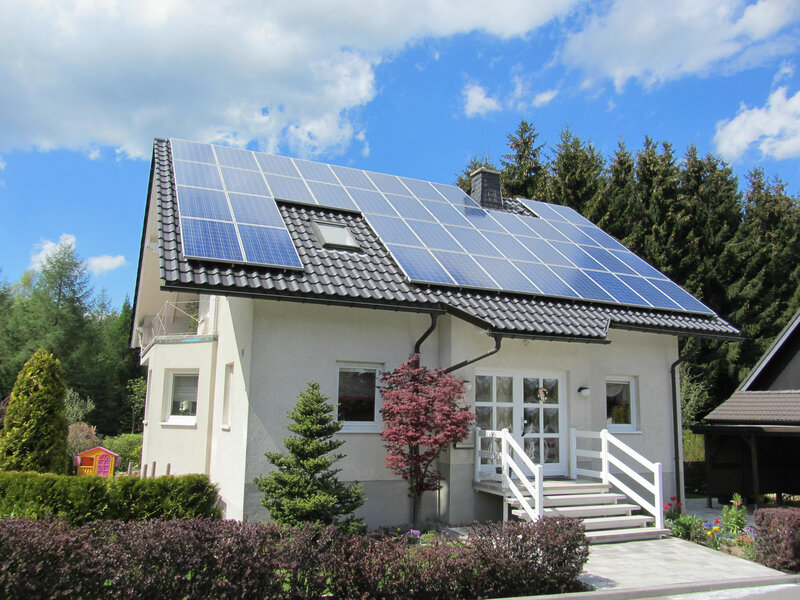 Also, explore alternative heating and electric supply options like a geothermal heat pump or solar power. Having installed over 10.000 systems, this installer specialises in solar panels in Sydney and uses only certified components by LG, Suntech and SolarWorld. You can do our planet a big favour by using less water daily and buying less bottled water. Train yourself to make shorter showers in the morning or get a low-flow showerhead. Additionally, if you live in an area where you are getting more in your water than you paid for (a taste of iron, perhaps), purchase a water filter and drink tap water by the bottled-water standards. Water filters come in many types and sizes, so make sure you buy one that suits your family needs. Sustainable living is all about simplifying your lifestyle and changing a couple of bad habits that will result in greater freedom and gratitude towards what you already have.